Pixologic's annual upgrade continues to hit new heights. With powerful new features and improved functionality, ZBrush 2018 is a great addition to the creation toolset. Another free update from Pixologic! There can’t be many software development companies that give their annual upgrade away for free, but Pixologic still manages to do so. This version sees a naming convention change, going from 4R8 (Version 4 Release 8) to the year number 2018. This update may not be the biggest it has had, but the new features are incredibly powerful and most definitely a great addition to the creative toolset. First let’s talk about the addition of Sculptris Pro. Pixologic acquired a piece of software called Sculptris a few years ago and gave it away for free ever since. It was a Voxelbased sculpting package and apart from initial tweaks and changes in the first year or so, it has remained fairly static. With this latest ZBrush iteration they have added a button into the main interface called Sculptris Pro. While not a Voxel feature inside ZBrush, what it gives you is the ability to work on your mesh and have it decimate/ tessellate (make triangles at different sizes) in the area you are working dynamically. For example, if you sculpt a nose and it needs lots of detail it gives you more polygons to play with, unlike DynaMesh which averages the polygons across the entire mesh. There is even a ‘Tessimate’ button (a new word which seems to be a combination of decimation and tessellation) to call the function without activating Sculptris Pro from the interface. In essence, it helps you to sculpt more detailed characters without really thinking about the resolution. There is no need to mask areas and subdivide locally. As you are sculpting you may come to a point where you would subdivide your mesh or DynaMesh when you need to get more details. It might be whilst you are adding clay. It might be after you have added new geometry with some of the new deformers we will mention later. Or simply when you are detailing the surface of your mesh. It works with most brushes and intelligently gives you enough triangulated polygons at the time you most need them. This version also adds to the deformers that are still very new in ZBrush, giving us access to 27 in total. The one to take note of now is the Project Primitive which in essence is a new way to add shapes to existing shapes and keep them live until you want to make the change permanent. It’s Live Boolean addition and more. These primitives can be used to build up entirely new shapes, or be used to cut away specific areas and make complex geometry in just a few clicks. It’s another unique geometry creation tool, just as ZSpheres, DynaMesh and ShadowBox were. The deformers get new coloured ‘cone’ handles that seem complex to understand at first glance but soon become second nature. One of the great things with Pixologic is that when they release new features like this, you know they have already recorded videos ready to release to the ZClassroom on their website, and learning the new stuff is simply a matter of following along from there. Another deformer worth a look is Remesh By DynaMesh. This allows the DynaMesh function to be called without needing to go and fi nd it in the menu. And if there’s a Remesh By DynaMesh, why not look at Remesh By ZRemesher and Remesh By Decimation. All the deformers serve to make things faster once you’ve understood the basic usage. The PolyGroupIt plugin brings a new way to create Polygroups (coloured polygon selections on a mesh). It takes a look at the surface of your model in its current state, and with the click of a button makes a decision on how and where to group it, and it was pretty accurate in the tests we did. Polygrouping is such an essential part of the workflow in ZBrush and it’s nice to see it get an upgrade after so long. The other additions include new Snake Hook brushes for pulling shapes out of your meshes, including Snake Hook 2, Snake Sphere and Snake Cactus. Individual brushes can now remember the draw size they last used if needed, useful if you are constantly changing between a few brushes that need very different settings. As always there is a full list of the new features on the website. 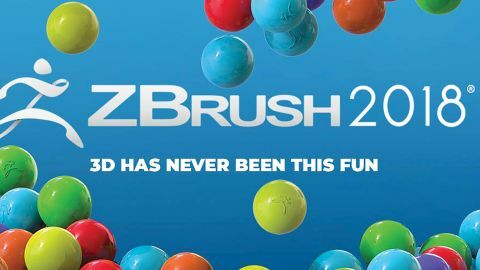 Overall, this new ZBrush update brings with it a great set of additions and some surprising changes that give lots of new functionality to an already huge toolset. This article originally appeared in 3D World magazine. Subscribe here.